WASHINGTON (MarketWatch) -- The Conference Board's leading economic index rose 0.5% in February, after a 0.1% rise in January and a 0.1% decline in December. "The U.S. LEI increased sharply in February, suggesting that any weather-related volatility will be short lived and the economy should continue to improve into the second half of the year," said Ataman Ozyildirim, economist at The Conference Board. 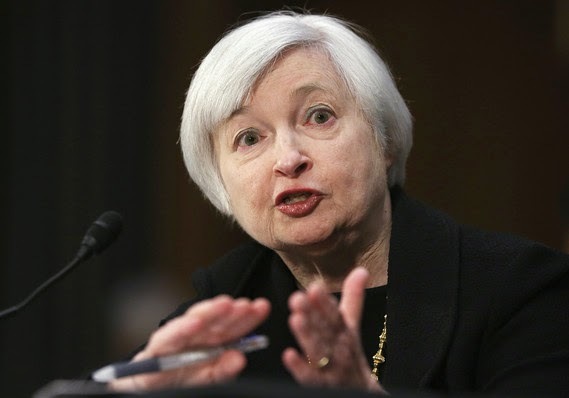 WASHINGTON (MarketWatch) -- Federal Reserve Chairwoman Janet Yellen's comment at a press conference that the first rate hike would begin six months after bond purchases concluded is not very different than prevailing expectations, St. Louis Fed President James Bullard said, The Wall Street Journal reported.